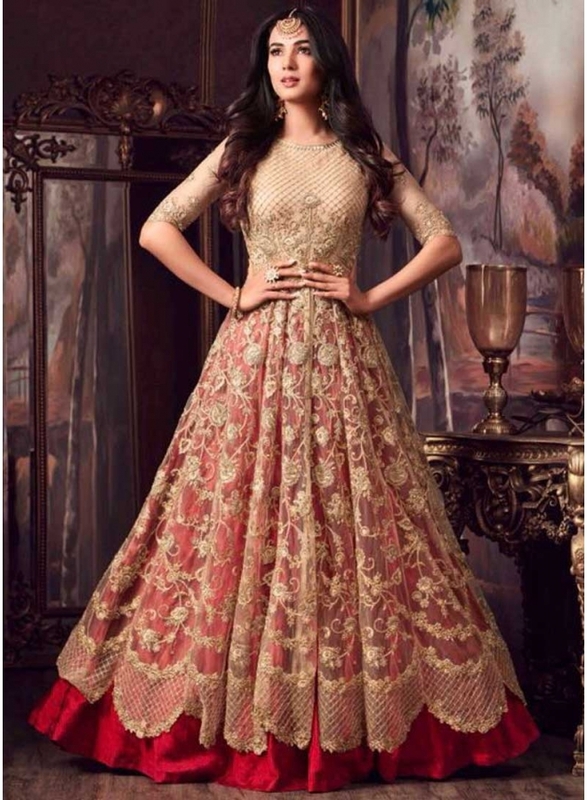 Red N Cream Embroidery Multi Work Net Fabric Lehenga Type Designer Salwar Kameez . Buy Online Shopping Salwar Kameez At -Fiji. 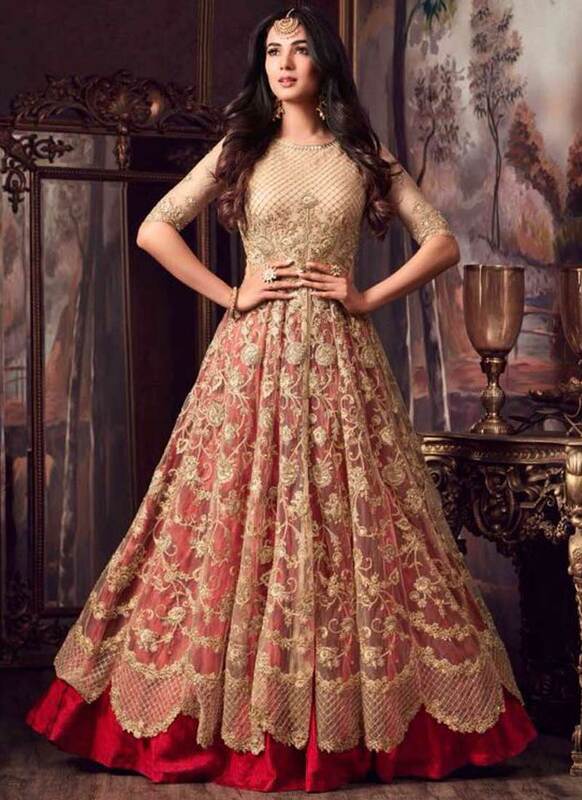 Red N Cream Embroidery Multi Work Net Fabric Lehenga Type Designer Salwar Kameez . This Salwar Kameez Design by Embroidery Work , Motti Work And Stone Work Designer Cream Colour Designer Top Salwar Kameez . This Salwar kameez Are Two Lyer Red And Cream Colour Lehenga Type Salwar Kameez . This Salwar Kameez Design By Different fabric Like Top :- Net , Inner :- Satoon , Bottom :-Banarsi Silk .